Dr. Jasmine Pedroso and Kris Cuaresma-Primm have experienced a blissful whirlwind of milestone events these past few years, including tying the knot, purchasing their dream home at The Ogden and most recently, the birth of daughter, Kalani. Jasmine and Kris graduated from the University of California Berkeley where they developed a passion for technology and led organizations that served the surrounding homeless populations. Using technology to uplift local communities extends into their professions and desire to live in downtown Las Vegas. Jasmine, a gynecological surgeon who received her master’s degree in public health from Harvard University and her medical degree from UCLA, works as a minimally invasive robotic surgeon to heal women across Las Vegas. Kris runs marketing for Lyft in Las Vegas and allows his passion for culture and diversity to influence the ride-sharing service’s marketing campaigns. “During the month of July, Lyft collaborated with Zappos to bring a 20-foot dragon art car from Burning Man to downtown Las Vegas, and we offered free art tours of the murals and sculptures sprinkled across this iconic and historic city,” Kris said. “I truly believe our community features America’s coolest urban mural walk, and I am so proud and honored to be able to share it with the world through the work I do with Lyft. Watching the dragon art car cruising the streets from our balcony at The Ogden was a full-circle moment for me,” Kris said. Since acquiring The Ogden in 2013, DK Las Vegas has made a $2 million investment to remodel the lobby with high-end design features to create an immediate sense of luxury and arrival; add new upgrades throughout all residences, including new lighting, hardwood floors, granite countertops and stainless-steel appliances; and enhanced amenities such as a Sky Deck, social lounge, fitness center and rooftop pool. 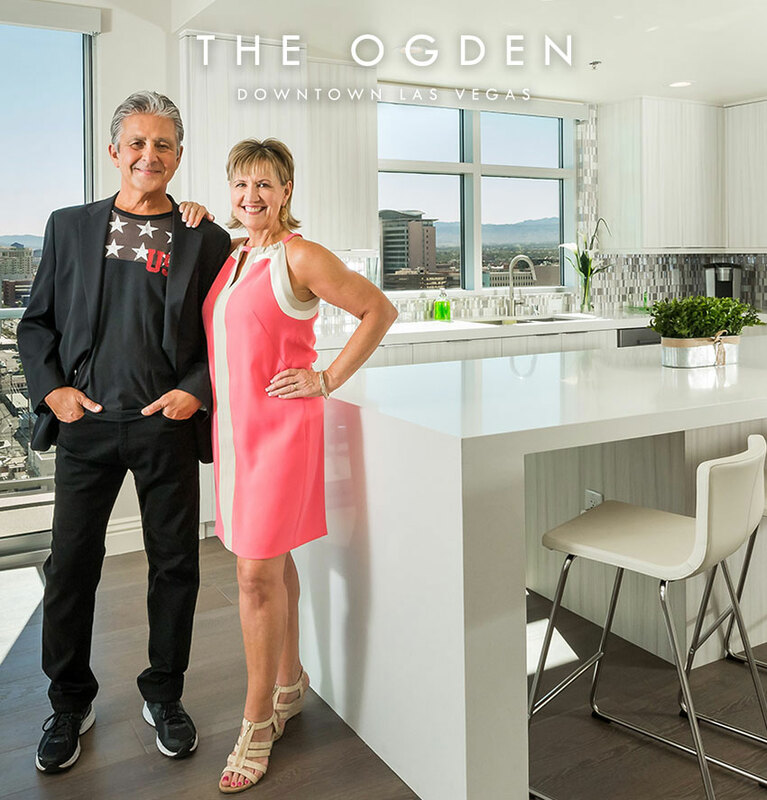 Outside the front door of The Ogden are more than 150 restaurants, many of them among the city’s most popular eateries, bars, attractions and an energy that continues to build with ongoing redevelopment of downtown Las Vegas.